We are a specialist, tenant-only commercial property agency based in Central London. Our mission is simple: To act exclusively on behalf of tenants, offering the best advice, planning and consultancy available to companies and organisations seeking to acquire or renegotiate office space in London. 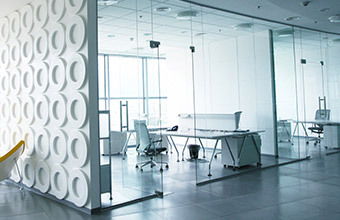 Securing a great new office space is not without its challenges. You want maximum convenience, speedy negotiations and the best possible deal. Our mission is to provide compliant, cost-effective and well-executed support in all areas of commercial leasing, in one of the most competitive and vibrant markets in the world. We never work with landlords: We dedicate our expertise solely to finding the best solutions for you, the tenants. We know every building available to rent or buy in the London and Greater London area, at all times. We offer a free initial consultation and initial search to map out your exact office move requirements. If we don’t secure an office for you, and the lease is not signed, we won’t charge a fee. We leverage the best possible deals and manage any financial issues on your behalf. Our professional surveyors provide invaluable advice on costs to help minimise risk.